Atkin Potts have been at The Cheese and Wine Shop since they launched in 2006. Building on their magnificent Mayonnaises and Sauces, they have broadened their rang to include Syrups and Balsamic glazes, through to Dessert Sauces. Atkin Potts make great gifts. Welcome to Bendicks Chocolates. Here at The Cheese and Wine Shop we sell a great range of Bendicks Chocolates, include Bittermints, Mint Collection and their famous Ginger. Bendicks Bittermints are great gifts and After Dinner treats! Very popular with all ages. Brownes luxury chocolates, made in nearby Devon make wonderful gifts for birthdays, Anniversary or Christmas. They are ideal in Hampers, and are perfect for friends, family, or for a special treat for yourself! Brownes source the best in local ingredients where possible, before setting to work with finest Belgium Coveture fom Cacao Barry and Callebaut to create delicous great value Chocolates and Truffles. The Cheese and Wine Shop stocks a wide selection of Brownes Boxes and Ballotins, along with their Fudge and novelty lines,many for next day delivery! Makers of smooth, crunchy, crumbly Fudge, Burnt Sugar has been hailed as making “The world’s best fudge”, according to The Observer Food Monthly. They dont just make divine confectionary, but also support several worthy causes and charitys. In 2006 the founder of Burnt Sugar made a conscious decision to source fair trade sugar and was meeting with recently certified Fair Trade sugar farmers in West Kenya less than a year later. This collaboration with the WEKO co-operation ensures that the farmers receive a guaranteed fair price for their unrefined sugar. The pudding that saved the village shop! Cartmel Sticky Toffee puddings have become world famous; and rightly so! 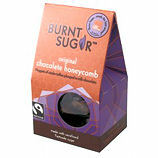 Still made by hand using only the best ingredients, this fantastic product has a real homemade flavour. Perfect for when the hordes desecnd unexpectedly! Buy Cartmel Sticky Toffee Pudding here! Coles Puddings of distinction, have been stocked here at The Cheese and Wine Shop since 1998, and are firm favorites. Coles also produce a popular Year round selection of Puddings. Our annual Christmas tastings are very popular with our customers; see our Diary for the next dates! Cotleigh Brewery began life in Devon in 1979, in the old stable block of Cotleigh Farmhouse at Washfield near Tiverton. The original operation started as a five barrel brewing plant, with Tawny being the first brew and it has since remained the brand leader. Immediate success meant that in 1980 the brewery moved to Somerset and into the current brewing site in Wiveliscombe. Its original owner Ted Bishop was succeeded in the early 80's by John and Jenny Aries, a husband and wife team, who built upon the brewery's success. The brewery expanded in 1985 in order to fulfil ever-increasing demand. The Cotleigh team is committed to excellence and it is precisely this that ensures attention to detail and quality, and the Cheese and Wine Shop sells the full range of bottled Cotleigh beers. Buy Denhay West Country Farmhouse Cheddar Cheese, Dry Cured Bacon and Air Dried Ham at The Cheese and Wine Shop, and enjoy next day delivery! Denhay has been at The Cheese and Wine Shop for over 15 years! We have their great Air Dry Ham which is great partnered with Melon, Asparagus or just on its own. Denhay Farm's dairy is based in the Marshwood Vale in West Dorset, an area of outstanding natural beauty. The award winning bacon is produced in the curing unit which is located at Honiton in Devon, just 20 minutes from The Cheese and Wine Shop. Denhay Farm at Marshwood Vale, is just three miles from the sea, immediately inland from Lyme Bay. Ranging from 200 ft to 750 ft above sea level, the farm has an average rainfall of 36 inches and soil that is heavy clay. These are ideal grass growing conditions. Denhay also grow maize, a high-energy cow food, for feeding to the herds in the winter when the cows are housed. The muck from the cows is returned to the land for the grass and maize to grow - farmers don't like waste! There are five herds of cows and Denhay only use their milk to make their award winning West Country Farmhouse Cheddar Cheese. They are passionate about the quality and consistency of all their products, and this quality has been recognised with all the UK's top food awards. order Denhays award winning Bacons and Air Dry Ham for next day delivery! Turkish Delight, also known as "Lokum", was discovered by the legendary "Hazer Baba" in Anatolia. Introduced to Europe in the 18th century, Hazer Baba "Turkish Delight" is available in many flavours and textures. Hazer Baba Turkish Delight is produced in Turkey, and is one of the most delectable sweets in the world. Hazer Baba Turkish Delight 454g Drum makes great gifts, and is ideal to enjoy after dinner with a Coffee! The Cheese and Wine Shop sells Lindt Swiss Chocolate, and this World famous brand remains very popular, and great value. We have a great range of Lindt Bars, Gift boxes and Novelties, along with Easter and Christmas lines. The Moores Family has been baking biscuits in Dorset since before 1860. The Cheese and Wine Shop has a great selection of Moores Biscuits, including the famous "Dorset Knobs"! RJ's Licorice Ltd has been operating for more than 12 years out of Levin, New Zealand, and produce world class Licorice for all occassions. Read more about RJ`s Licorice here. You can never go wrong with RJ's Licorice. RJ`S Licorice Allsorts; great gifts! Buy Seggiano Oilve Oil, Pasta, Cheese, Breads and Biscuits from The Cheese and Wine Shop. 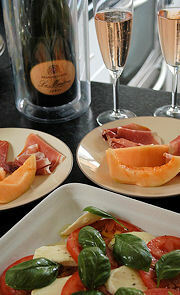 We have been stocking Seggiano from when they started way back in 1998. Seggiano the name, is the from a small hilltop village at 450 metres altitude on the shoulder of Monte Amiata, in southern Tuscany. Peri Eagleton and David Harrison have farmed olives on their certified organic smallholding and have produced olive oil, with the help and advice of the Seggiano community, since 1985. Read about Seggiano Pasta here, and more about Seggiano here. Seggiano`s divine Arcacia Honey; buy online now! At Burrow Hill here in Somerset, Apples have been grown and cider has been pressed for at least 150 years. It is the soil climate and the apple varieties which give this cider and cider brandy their unique quality. It has long been recognised that for growing apples for fermenting England has three 'vintage' areas: all are in Somerset; and at Burrow Hill, Kingsbury Episcopi, they are right in the middle of one, the others being around Wedmore and Baltonsborough. Apples are the starting point for both their cider and Somerset Cider Brandy, and at Burrow Hill they believe it is vital to know their origins. All the apples they ferment come from Somerset, and most come from their own orchards which extend to some 150 acres. They grow more than 40 varieties of vintage cider apples and the cider for drinking or distilling is made by blending these apples. The blending of the different types of fruit is the key to the craft of cider making. At Burrow Hill this is the responsibility of Tim Stoddart and Julian Temperley, who together have more than 50 years of experience of making cider. Somerset Cider Brandy Company, which is just up the road from The Cheese and Wine Shop, produces their brilliant Apple Juices, Ciders, Sparkling Ciders, and of course their Brandys, all available for next day delivery from The Cheese and Wine Shop! 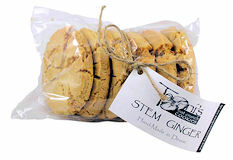 The Cheese and Wine Shop has stocked Teonis cookies since they started in Hemyock many years ago. Teonis produce wonderfully delicious, hand made Chunky Oat crunch cookies and shortbreads. Read more about Teonis at The Cheese and Wine Shop here.